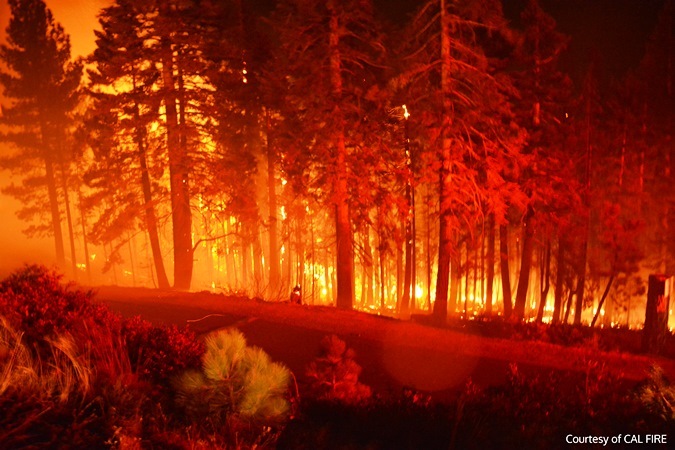 The Tahoe Basin is a fire-prone setting where our built environment and the forest are united. Historically the natural ecology evolved to not only survive wildfire, but in many cases flourish because of it. 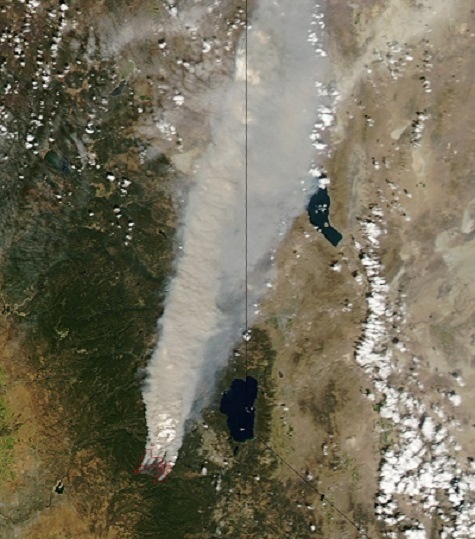 Prior to European-American settlement, many of the populated areas in the Basin burned every 5 to 18 years, comprising of generally low intensity surface fires that rarely spread into tree canopies. Because of the damaging effects wildfire has on populated areas, a culture of fire suppression dominated North America for much of the 20th century, resulting in a build-up of fuels we see in our forests today. In conjunction, years of drought and environmental imbalances onset by global climate change have paved the way for wildland fires to become increasingly intense and destructive. During wildfire, burning embers can be lofted into the sky and travel more than a mile in front of a fire before landing. Embers have the ability to ignite plants, debris, and homes that they land on. Defensible space, building materials and design all play pivotal roles during these events. Managing fuel loads and hardening homes is imperative. Click here for an interactive guide detailing ember threat during wildfire. 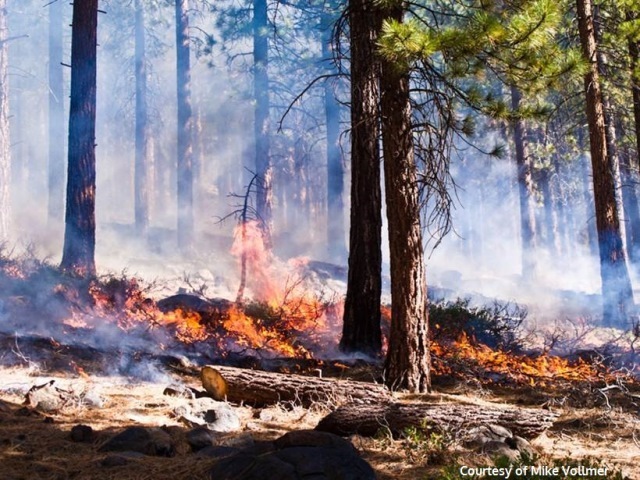 In an effort to reduce devastating wildfire from entering communities, control burns (pictured right) are commonly utilized to weaken this threat. These low intensity fires protect neighborhoods by diminishing hazardous fuel loads and can increase the overall health of the forest. In conjunction with fuel reduction projects implemented on public lands, efforts also need to be taken on private property. There are myriad actions residents can take to help protect their homes and reduce their wildfire risk, click here for more information. Today, wildfires are becoming increasingly difficult to manage as their size, intensities, and rates of spread have dramatically increased over the past two decades. The map below highlights some of the past fires that have occurred in and around the Tahoe Basin since 2000. What Can I Do To Reduce My Wildfire Risk?